July 26, 2011 at 5:12 pm	· Filed under B&B, bed and breakfast, country matters, drains, Septic tank	·Tagged B&B, Bed and Breakfast, countryside, drains, gunk, living in the country, pressure washer, septic tank, sewerage. One of the “delights” of living in the country is not being on mains sewerage, but having a drain at the back of the kitchen through which all our shower water, dishwasher water, washine machine water and sewerage goes, which then has another pipe leading to the septic tank. Those of you who receive our newsletter will know the fun and games we had last year with the septic tank, which, touch wood, seems to be working OK now. However, yesterday Neil noticed at the back of the kitchen that water had built up in the drain. He took the lid off and found the whole drain blocked up. Lovely!! So he got his pressure washer out and squirted water up the pipe from the septic tank end. 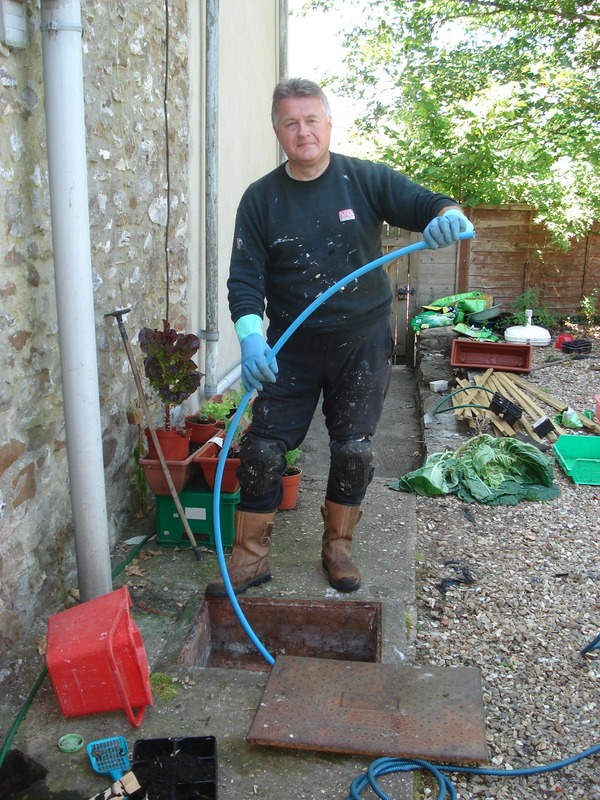 He managed to dislodge some “gunk” and suddenly the drain emptied down the pipe into the septic tank. So then he got a piece of sturdy pipe and put that down the pipe from the drain end, all the way along the pipe into the septic tank end. 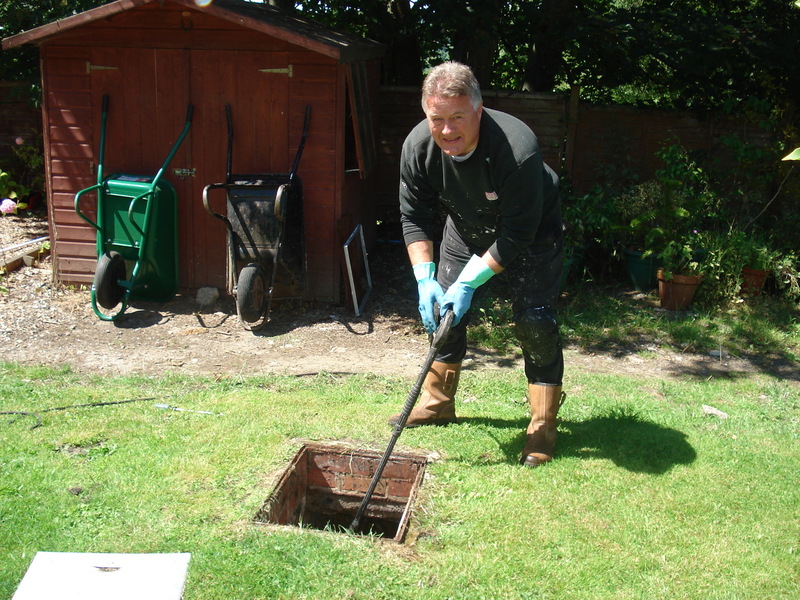 To make sure all was free running again, he then pressure washed from the drain to the septic tank to ensure all debris was dislodged. This worked fine, so now we have working drains again. What a lovely job!! I hope we don’t have this problem again when we have guests for B&B. It would be aweful to have to say to them not to flush the loo until we have sorted the drains out!! Yuk! !